Consider these 5 things to avoid when transferring your website to a new web hosting provider to make sure everything goes smoothly for you and your visitors. The biggest factor that could upset your move to a new web host is downtime for your website. If done properly, transferring a website will require little or no downtime as your visitors access your content on the previous and current host. 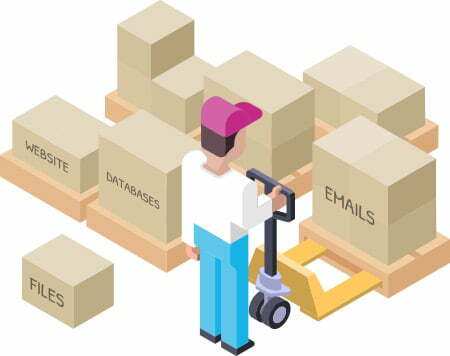 In order to transfer a website without downtime, make sure to make a complete backup of your original site before beginning the transfer. Purchase your new hosting contract and upload your entire site to the new servers before deleting the originals. While two copies of your website still exist, update the name servers through your registrar to the new host. This will ensure that any outdated DNS records will direct visitors to a functional copy of your website instead of a 404 error page. Once the name servers have updated globally, often within 24 hours, you can safely cancel your previous hosting lease. There are many files associated with the average website, often spread across several folders and hierarchies on your web server. To avoid data loss, you'll want to make sure you're copying every file to your backup folder or new hosting account. This includes files not displaying on your front-end. There are several tools available to make sure you don't leave any files behind including WordPress Backups for WordPress website owners, and Akeeba Backupfor Joomla site operators. 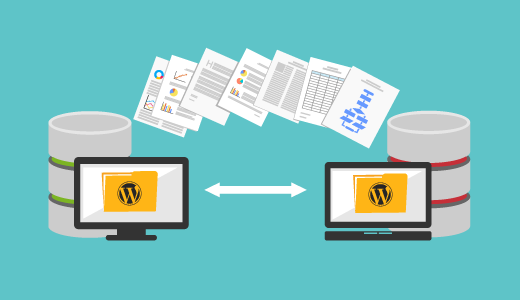 By making comprehensive backups and checking currently unpublished content, you can avoid the loss of any data during your website transfer. While looking for a less extensive hosting provider, many web administrators and site owners tend to overlook capacity and resource requirements. Low-priced web server leases and hosting plans can certainly be found, but not all budget hosting offers are created equally. Make sure your site will have plenty of room to grow at your new host by checking their bandwidth and storage limits before making any decisions. You'll also want to perform a speed test or at least compare speeds between hosts before relying on any new web hosting providers. This will ensure your site doesn't slow down with the move. Depending on which platform your website is built on, you'll want to narrow your new hosting options down to conform to your needs before making a purchase or transfer. As long as your new host is compatible with your preferred platform, you shouldn't have any issues in the long run. Hosts that go a step beyond ensuring basic compatibility, are often the better option however, as they can provide one-click installs of WordPress and other Content Management Systems (CMSs). Also look for hosts that optimize their servers for the specific CMS or platform your site is built on. Review any additional software your website uses, such as Ruby on Rails applications, or particular mailing applications in order to make sure everything is allowed and works well on your new chosen web host. When you purchase a new hosting plan the host will usually send you an email or admin space with name server and other important information. Make sure to obtain the correct name server addresses before deleting anything from your old host. If you're getting a dedicated, static IP address along with your new host make sure to make note of it before the transfer. This will help with SSH and other connections you may depend on in the near future. Lastly, check over your FTP, SQL, and other permissions before making the name server switch to ensure certain content won't be blocked from yourself or users of your site. It's generally a good idea to leave both admin panels open and compare each setting to the previous host to make sure you’re covering everything. By planning your website transition carefully, and avoiding these 5 common web administrator errors, you'll be able to avoid downtime, data loss, and other issues affecting your visitors. If done properly, users of your website won't even notice the transition. Before you transfer a website, create a checklist that includes the issues mentioned here to ensure a smooth transfer. You can often save money and prepare your site for growth by moving to a new host, and with a little planning and avoidance of common pitfalls, everything will go without a hitch.